Wall tapestries from Ambesonne will be high-quality decorative elements for your home decoration. Dark Blue themed Blue Ornamental Flowers Tapestry will provide a creative and original look into the room with its unique Sky Blue color. With many size options from 60x80 to 40x60, to buy Blue Ornamental Flowers Tapestry will be the first step to make a dramatic change in your interior design. You will be impressed by the brilliant atmosphere created by this Dark Blue wall tapestry. Printed with the highest technology, wall hangings and wall blankets on Ambesonne.com offer premium qualities with affordable prices. 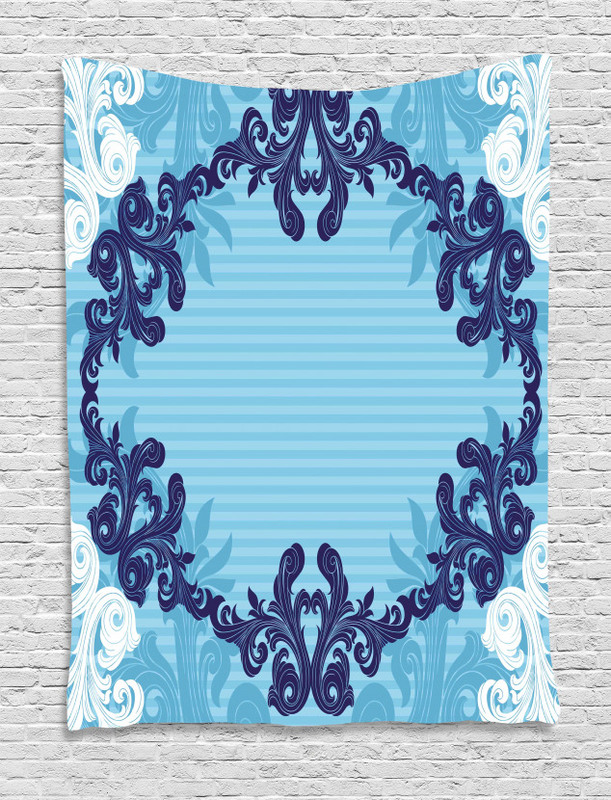 Shop now your favorite design from Dark Blue tapestries with only $34.90 and free shipping.